Tizen for Mobile - Is Samsung Moving Away from Android Platform? A recent report from Yomiuri Shimbun reveals that Samsung along with NTT Docomo Inc. (and few other firms including Intel Corp.) is jointly developing an operating system named Tizen for smartphones. The report says Samsung would be launching its first smarphone running Tizen operating system by end of 2013. Tizen is a Linux based open source operating system named just after Nokia gave up MeeGo and adapted Windows 8 for its smartphones. Tizen is designed to support multiple platforms such as smartphones, tablets, smart televisions etc., provides consistent user experience across the devices. 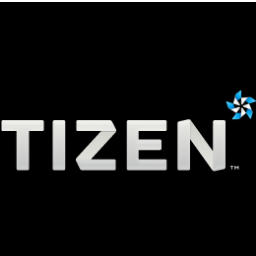 Tizen 2.0 will be released in January, 2013 aiming to launch first device running Tizen in the first quarter. Why Tizen? What are the advantages and benefits? Over 85% of the smartphone market is controlled by Apple's iOS and Google's Android platform. Android is already an open system, you may download the source and make changes according to your requirements. Then why we need another operating system? All major smartphone systems now available are controlled by US companies and are bound to US laws and privacy acts. One major advantage with Tizen is, it is completely open and could be easily customized according to your privacy requirements in your country. Android is already struggling with patent lawsuits from smartphone manufacturers like Apple. Now Google bought Motorola, another smartphone manufacturer, Google may change Android in favor of Motorola which again is a concern for companies like Samsung which is fighting hard with Apple for its Android smartphones. Another advantage using Tizen over other operating systems is, telecom companies can offer their own services via Tizen, which is not easy with other available platforms. Now comes the power of HTML5, you may run web applications developed in HTML5 outside Tizen IDE with no changes to the code, only criteria is your code must comply with the Tizen packaging rules. Another major difference with other platforms is that web applications can access platform features such as Process Management, Device Management(Camera, GPS) etc. 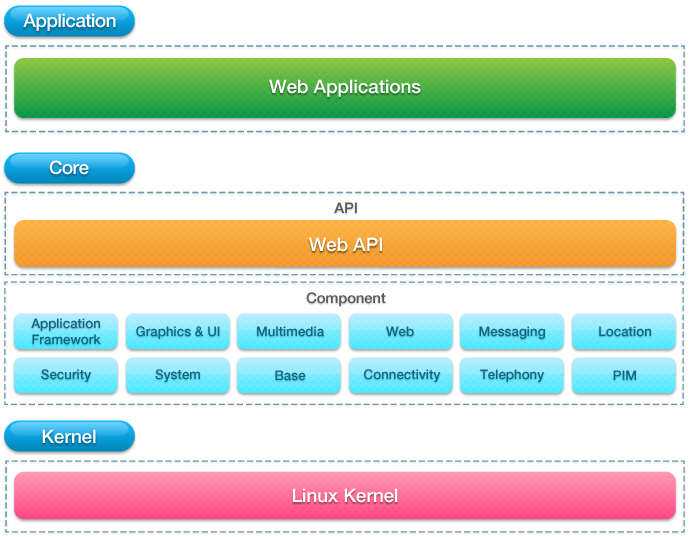 via Tizen Device API and W3C Web API. As mentioned earlier, Tizen is developed on top of Linux Kernel consists of an HTML5 supported web framework and a core framework which provides the features needed by the web framework. Application developers may download Tizen SDK 2.0 Alpha from Tizen developer's website, which runs on Windows as well as on Ubuntu. What to expect in near-future? Samsung recently joined the board of directors of Linux Foundation who is governing the Tizen project. Also, Samsung may merge its own operating system named Bada with Tizen, which is again based on Linux. If all goes well with Tizen, it is 100% sure that Samsung will say good bye to Android and adopt Tizen as its official smartphone operating system. Ubuntu is also planning to release its smartphone version by 2014!